On deck five there are now three guest cabins (slightly bigger than the others) as well as the old master, which is now the VIP, and the new master, which the Liveras team felt was required to compete in today&apos;s charter marketplace. 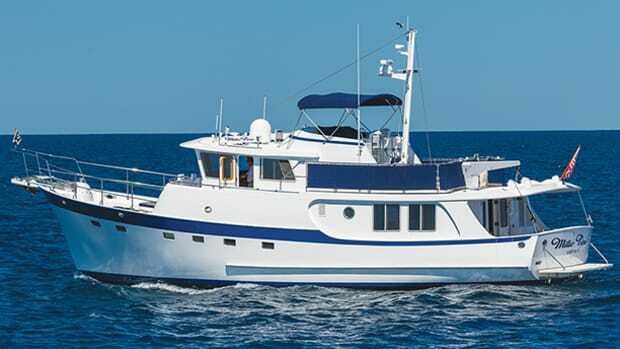 We entered through the master&apos;s lounge and office space, facing a sliding glass door that leads to a private outdoor sitting deck to starboard. 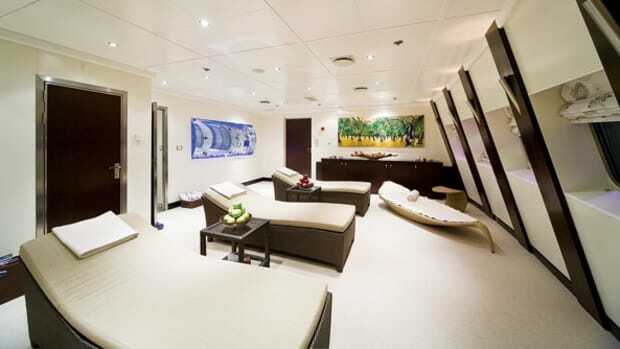 To port are a king-size bed, a pair of walk-in wardrobes, and a bath with a private hot tub done in pure white marble. It&apos;s hard to believe that Lauren L&apos;s lush teak sundeck used to be all unfinished metal. To starboard there&apos;s a bar, and to port is a sitting area. An additional sitting area is forward on the yacht. 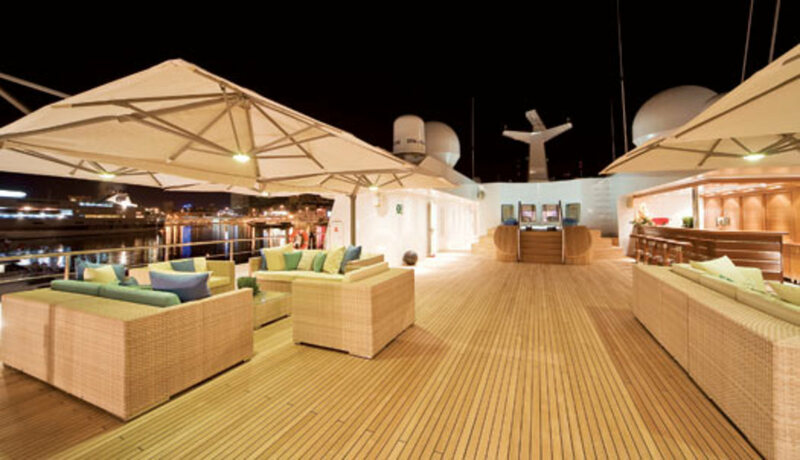 Deck six is hard to picture as its former steel self now that it is covered in a nightclub-dance-floor-worthy expanse of teak that leads to a large hot tub and bar area. Just beyond that is the new health spa, a superstructure created during the refit for pampering charter guests. "We started on Princess Tanya with just a hair salon," Dafnia recalls. "We would do manicures and pedicures in one room. That was 1993. 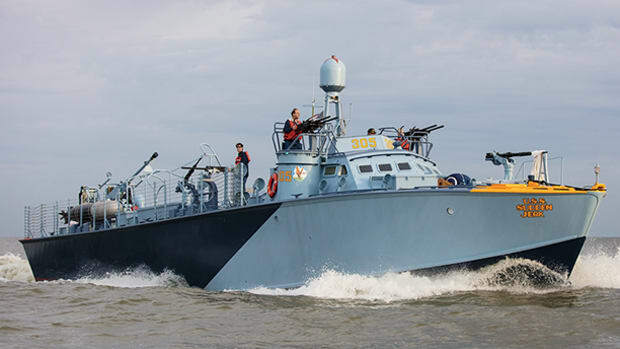 Now, we have done true spas on our other yachts, and people are following our trend." That trend in this super-size charter category is for ultimate onboard spas that go far beyond hair and nail stations. Lauren L&apos;s spa area begins with a glass-enclosed gymnasium that overlooks the outdoor hot tub and bar. From there is the "relaxation room," featuring soothing music, comfortable chaise lounges, and outdoor views. There are of course proper hair-styling, manicure, pedicure, facial, and massage areas, as well as a large teak sauna and a stunning steam room that is far more contemporary with its small, colorful tiles than the ornate, arching steam rooms aboard Alysia and Annaliesse. "You have to think of all clients&apos; tastes," Dafnia says, explaining why the team chose such a different look than on Liveras&apos; other boats. "Most people find this style much more relaxing. You&apos;re not dominated by this room." The Liveras team is happy with the refit, though Kyriacou admits they could have done more work. 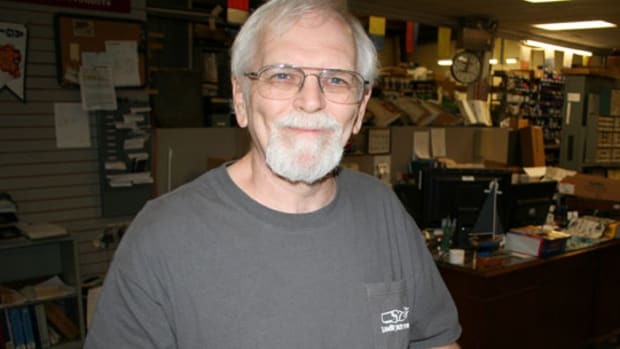 "To be frank, we would have liked a bit more time to do some more changes, like removing the walls in the existing guest staterooms to make an open floor plan in all the staterooms." 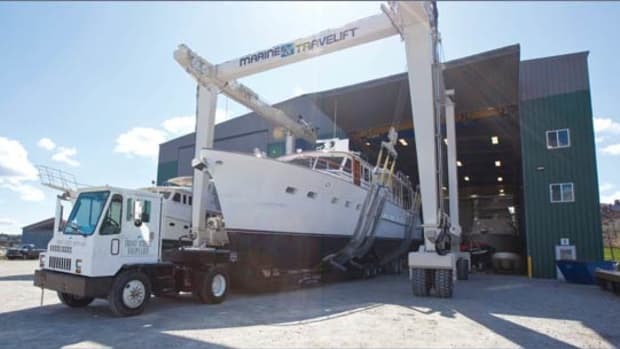 Time ran out because the summer 2008 charter season began, and Liveras was intent on having Lauren L displayed at the annual, industry-only charter show in Genoa so that brokers and press could see the upgrades. 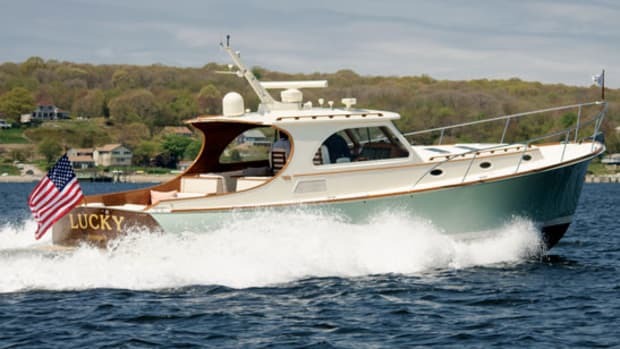 Those brokers I bumped into while touring the yacht in May all responded favorably to the refit, with one broker who specializes in 100-foot-and-larger charters telling me, "The boat was okay before, but now she&apos;s right on the money." 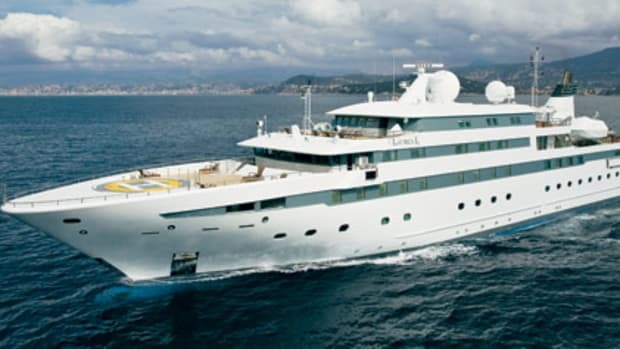 A charter client had already booked Lauren L for the month of August, and Liveras was debating whether to send her to the Caribbean or the Maldives/Seychelles come September, for the winter 2008-09 season. "My feeling is that there&apos;s more business for us in the Maldives," Kyriacou says. "Our clientele is primarily Middle Eastern. The Maldives is the same time zone, and there are no visa problems." It&apos;s that same clientele who drove this refit—and who the Liveras team believes will drive large-yacht charter in the future. "We believe the market is growing in Russia and the Middle East," Kyriacou says. "They want new and big. At the moment, we haven&apos;t got enough weeks of the year available for them all." The other current problem, Kyriacou adds, is that some of those clients want a big yacht for a lot of people (say, 40 guests), while others want a big yacht for more intimate groups (say, 26 guests). In one camp you have guests wanting more cabins. In the other you have guests wanting larger spas and salons. The Liveras team is trying to decide which way to outfit the forthcoming 354-footers. They may, Kyriacou says, simply do one of each. It&apos;s a nice problem to have. 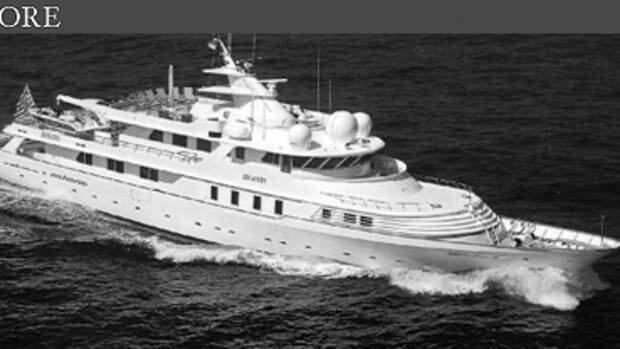 Liveras Yachts will solve it with the same style as the refit of Lauren L.